This is the same game as developed by Fellowship Games. I dont have a copy of that game (Mike does), but from the looks of the game, it just looks like ICE added some production values. The story of this game comes from Lord of the Rings where you either play the Hobbits trying to take the Ring to the Cracks of Doom, or the Black Riders who are trying to capture the Ring and take it to Barad-Dur to give it to Sauron, the Dark Lord. 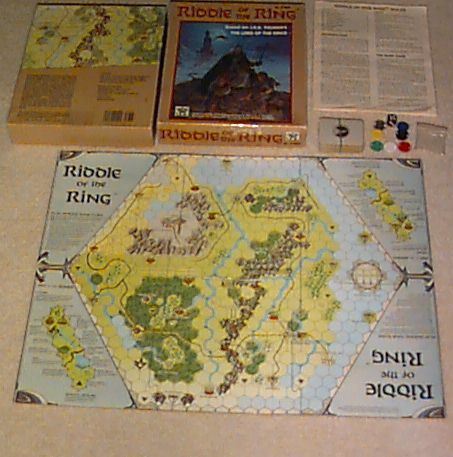 There are three parts of the game, Basic Game, Advanced Game, and the Optional Rules that adds more variety and detail to the Basic and Advanced Games. 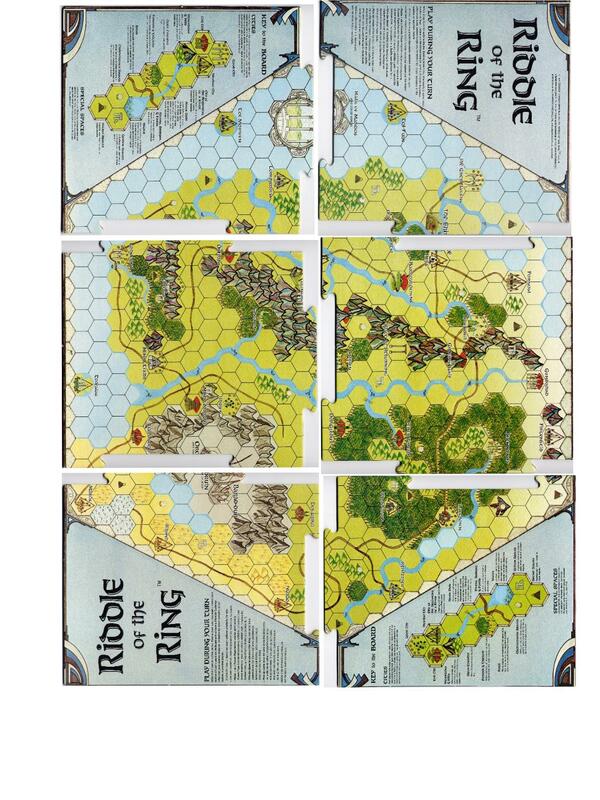 Each player attempts to obtain cards in order to compete with the other players for control of the One True Ring. The Hobbit players must try to take The Ring to the Cracks of Doom for destruction, while the Black Rider players must try to take it to Barad-Dur to the Evil Sauron. The first player to accomplish this feat is the winner. To begin the game, each player chooses sides. Next, all the cards are shuffled and each player is dealt two cards to start his hand. The remaining cards are placed face-down to form a pick-up stack. The cards are used to help a player move on the board, pick up more cards on a later turn, or to interact with the other players. As each player starts his first turn, his marker is placed on The Shire space. Suggestions on how to play; To get started, players should move their markers to cities on the board so they can pick up cards. Players should try to pick up cards every turn, even if it may temporarily take them away from the direction they would prefer to go. Hobbits will be safe in Good Cities and Black Riders will be safer on Evil cities in case of battle, but any players may visit any city (and pick up cards there). Sooner or later, one player will pick up The Ring card. Other players may use cards in their hands to discover who has The Ring and to attempt to take it from him. As players pick up cards and build their hands, they should work their way towards The Cracks of Doom or Barad-Dur and use cards according to their instructions. Cards help players move on the board and gain advantages over the other players. 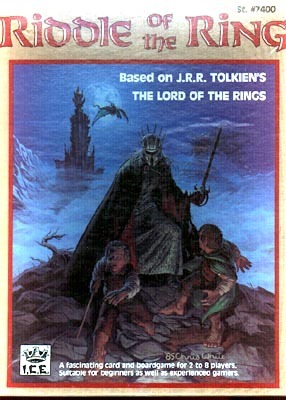 For example, a player with Gollum can take The Ring from any player. Having the character card of another player gives you an advantage over him. You can give him his card, see his entire hand, and take the card of your choice from his hand. There are just a few examples. The Board represents the Northwestern area of Middle Earth as in Lord of the Rings. The board is divided into hexagon shaped spaces. Movement on the board consists of moving from space to space. Each space is a certain type as indicated on the Terrain Key on the board. 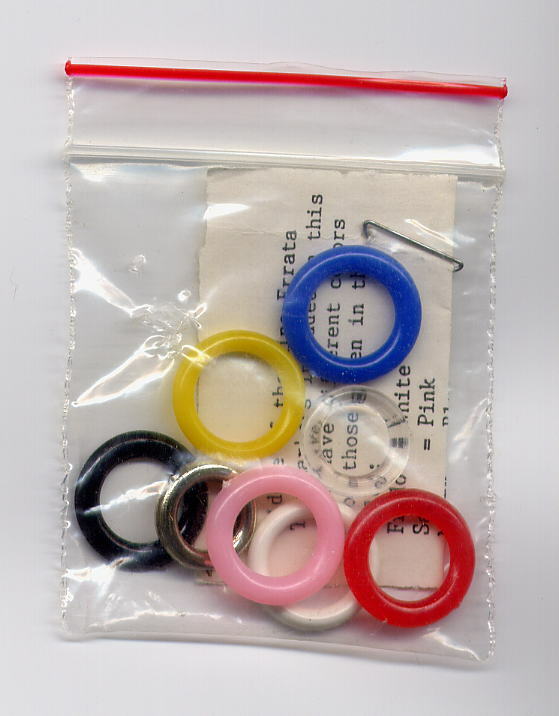 There are 8 plastic player pieces called Markers each one representing either a hobbit or Black Rider. There are six types of cards in the game: travel cards, army cards, character cards, special cards, optional cards, and blank cards. The acquisition and use of these cards are key elements of play.